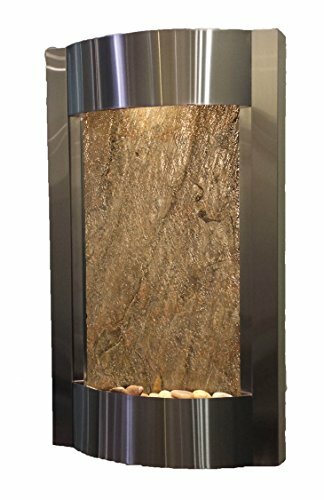 Best Zen Indoor Waterfalls for Your Home! Looking to relax and meditate indoors listening to the sound of water gently trickling down? 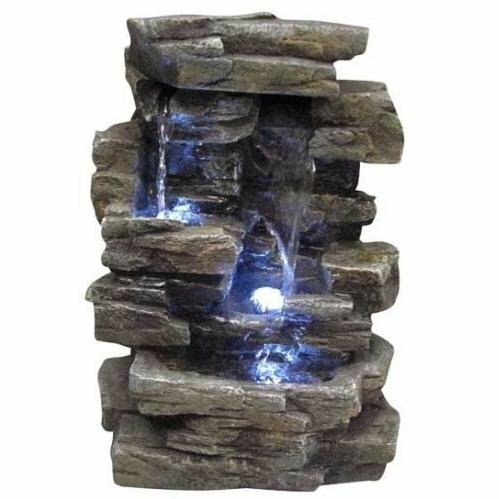 I found the best indoor waterfalls and table fountains for sale! My husband and I absolutely love peaceful water fountains for home! We have a small Zen indoor waterfall in our living-room and we are thinking about getting a larger one for our porch. They are so soothing and so beautiful! Choose a beautiful and relaxing Zen indoor waterfall for you! The sound of water streaming down a waterfall is very relaxing! It can help us calm down and ‘un-stress’ almost immediately! I love water and I am always trying to be near water. One of the best ways to always have the sound of water in your home is by getting a zen indoor water fountain! Will look amazing at night! I would place it near some indoor plants! They can be placed anywhere you want and they can create a very peaceful atmosphere! These are my favorite indoor waterfalls to have! I hope you’ll find one for your home too! This is one of the most beautiful and unique indoor waterfalls! It stands at 84 inches! It is a gorgeous and very large indoor floor fountain for sale! The pump is included and you don’t need any plumbing done. The water will simply re-circulate. 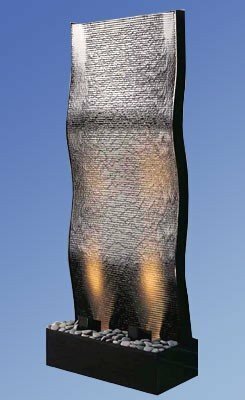 Beautiful water feature to have in a large living-room or even your home-office. I love the mysterious background that represents ‘The Creation of Time’! What better way to meditate and imagine how it all started than with this amazing indoor waterfall? The water flows down front and makes a very nice and soothing sound! The beautiful background also helps you relax even more! This indoor waterfall is mesmerizing! Looking for the best zen indoor waterfalls? It is called ‘Duet Falls Fountain‘. It’s perfect for the office, living-room or bedroom. You can adjust the water flow to create the perfect ‘peaceful’ effect. It looks amazing on the wall. This is an exquisite zen indoor waterfall that is perfect for meditation! Cute and Fun Indoor Waterfall to Hang on Your Wall! What a beautiful and very unique zen indoor wall waterfall! I love the fun stones inside! 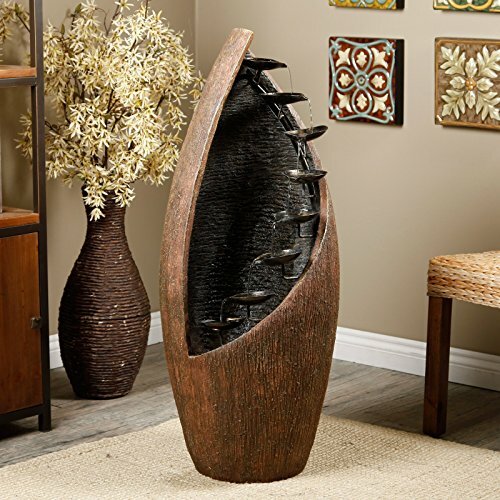 Great piece to have in your home! 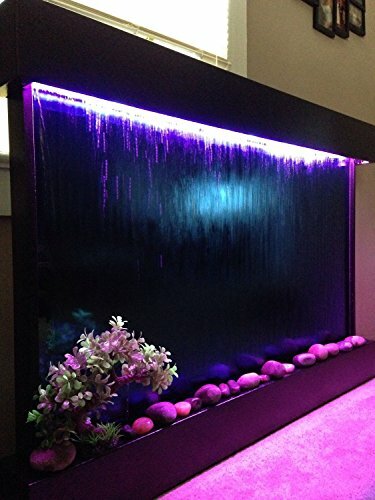 *Extra Large Wall Waterfall Indoor Fountain with Color Changing LED Lights! From this beautiful bright blue to green, red, orange and even purple! The cool rocks and wall mounting kit are also included! How beautiful and relaxing is this falling water fountain with light? The flow of water will make a very gentle, soothing and lovely sound! 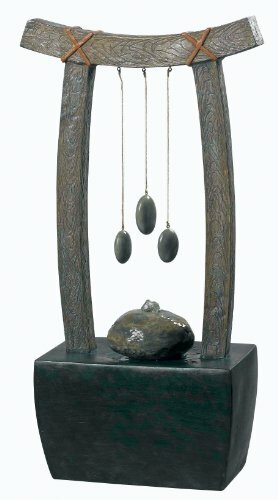 Great fountain to create a special ‘zen’ corner in your home! This is a gorgeous 4 tiered bowls and jars indoor/outdoor waterfall in a beautiful ‘stone’ finish. 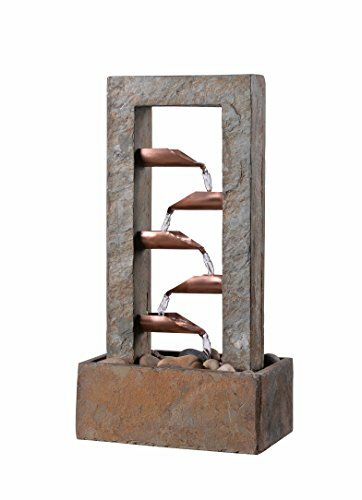 It is a 46″ tall floor fountain and I also love the ‘rustic’ look it has! Again, I would place it next to my plants. The water ‘noise’ is very soothing. 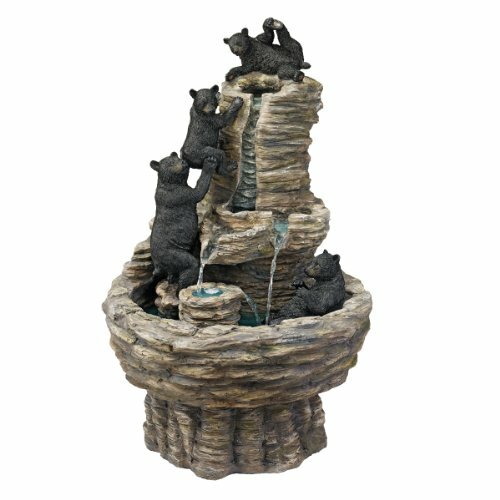 The Cutest Fountain for Home! This is one of my favorite waterfalls so far! It’s very mystical and very cute!! Four cute black bears are climbing the waterfall! I love this creative design! It will create a very mystical and fun ambiance and the cute bears will add a touch of fun! This is one of the cheapest tabletop fountains for home! It has a beautiful and very bright LED light that creates a wonderful visual effect! Very pretty to look at and very relaxing! 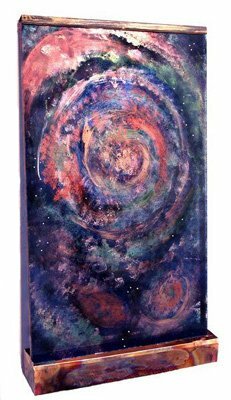 Perfect to create a ‘mystical’ atmosphere in your home! This is one of the most popular tabletop water fountains for home! It is beautiful, affordable and it comes with the river stones as well! I also love the copper finish and ‘old’ look! Very cool! It makes a very nice water sound, not too loud, not too low… Just right! 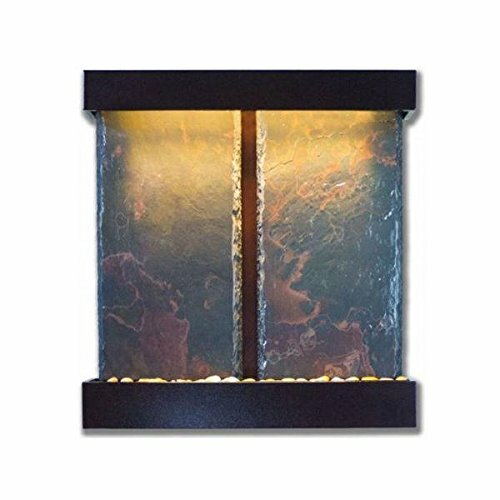 What a beautiful and very soothing zen indoor table water fountain for sale! It has a beautiful Asian style look! Great to have in your office, to help you stay calm and balanced! 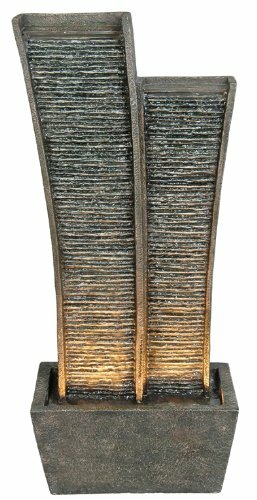 Very unique and exotic indoor Buddha water fountain! Buddha meditates on his favorite lotus position. Will make you want to meditate too! This one is very mystical! I love this stone finish too! This is the one I have in my own home! It’s beautiful, peaceful and very affordable! I have it in my living-room and anytime I need to relax and unwind I turn it on! I have had this cute fountain for almost 5 years now and I never had any problems! The water pump and light are also included. 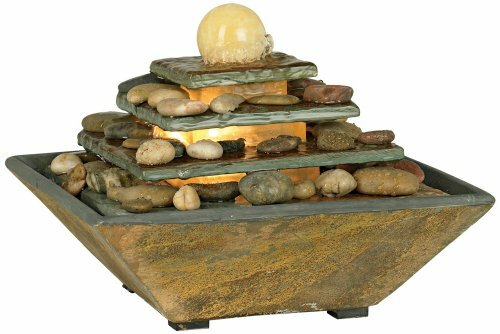 *I hope you found the perfect zen indoor waterfall for your home here today! Beautiful Water Fountains for Gardens! 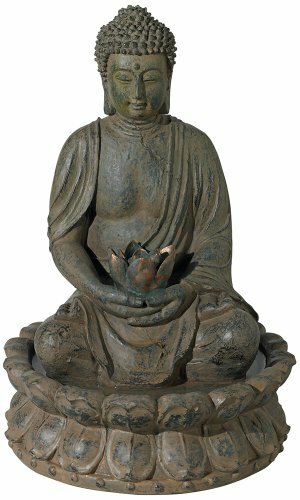 Best Buddha Statues for Sale!